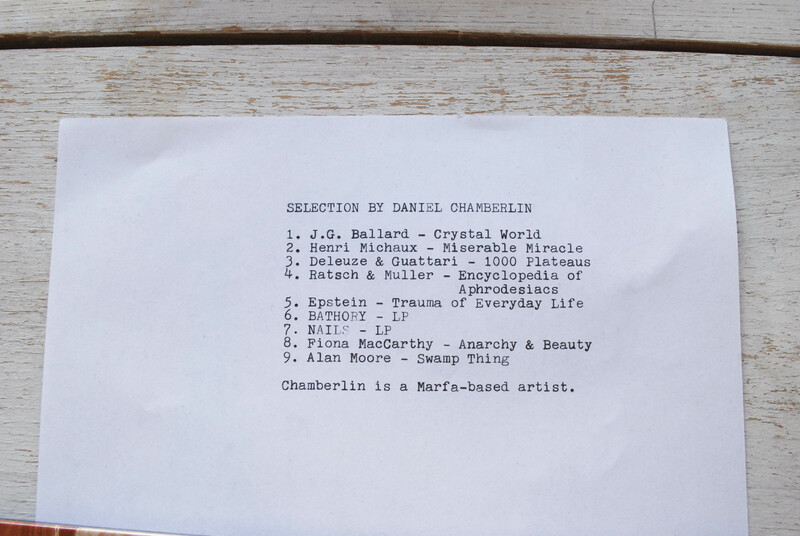 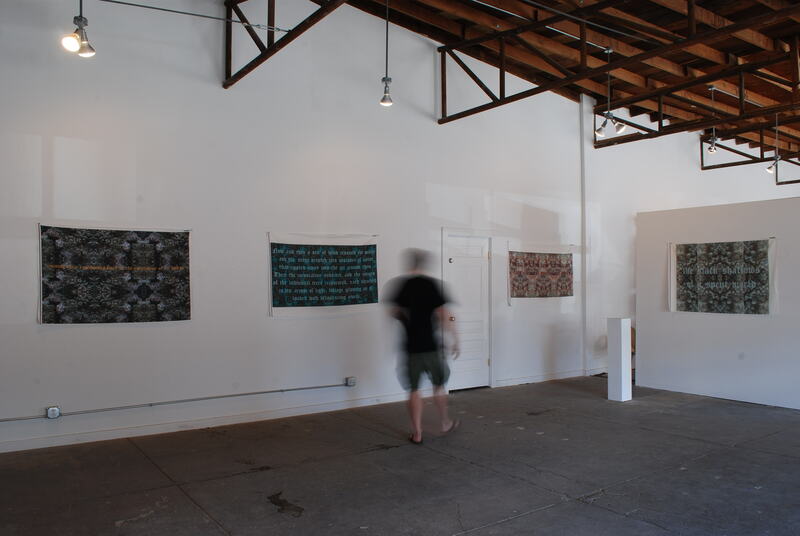 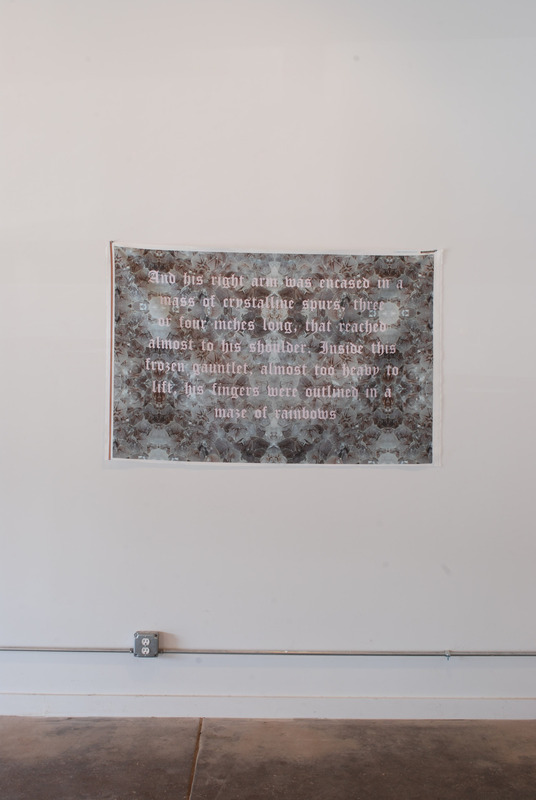 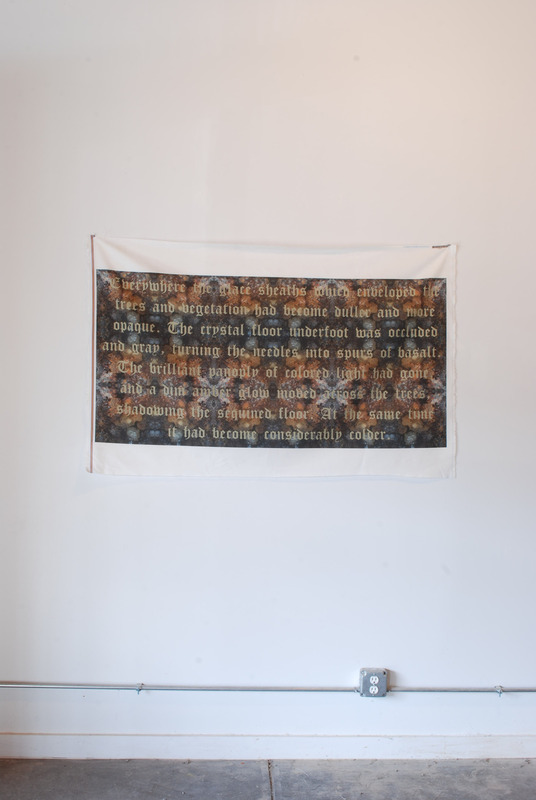 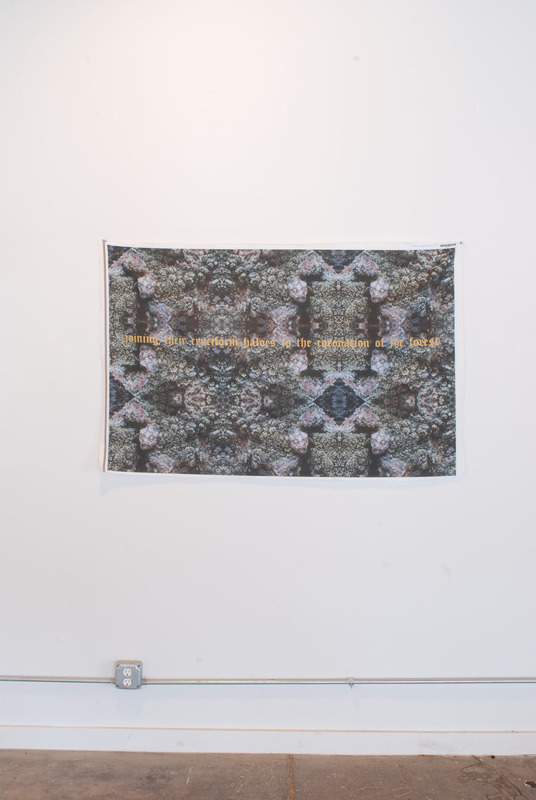 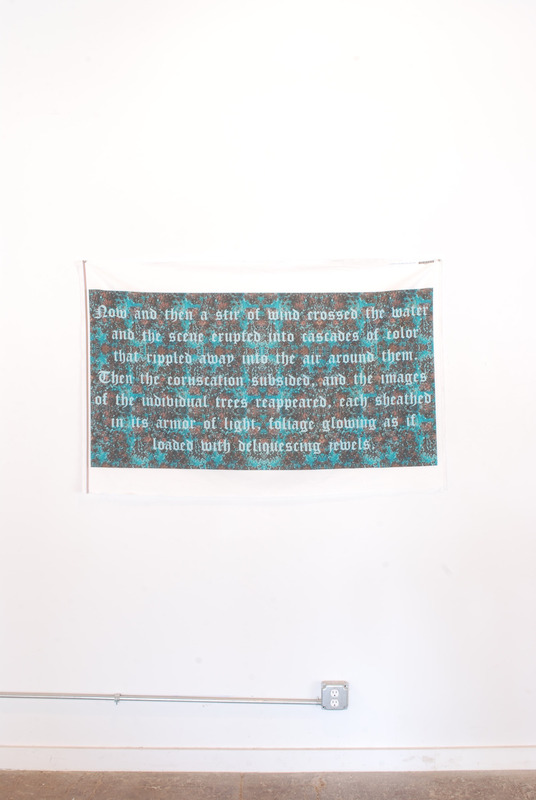 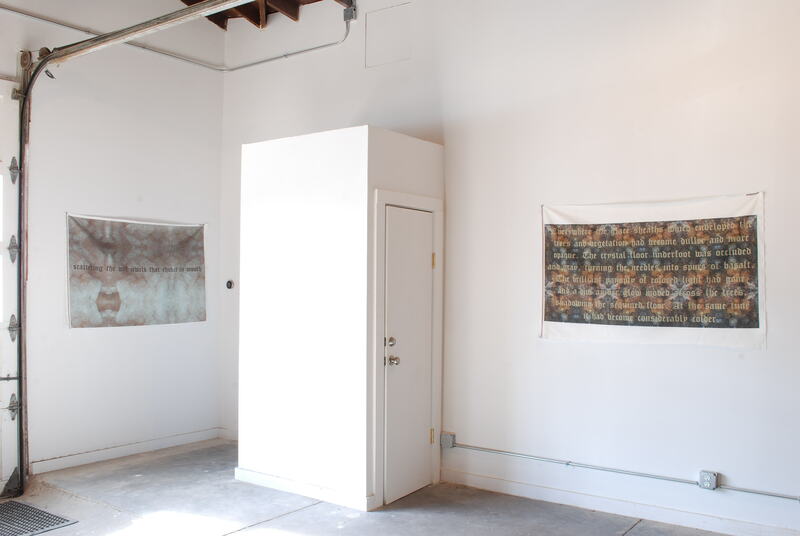 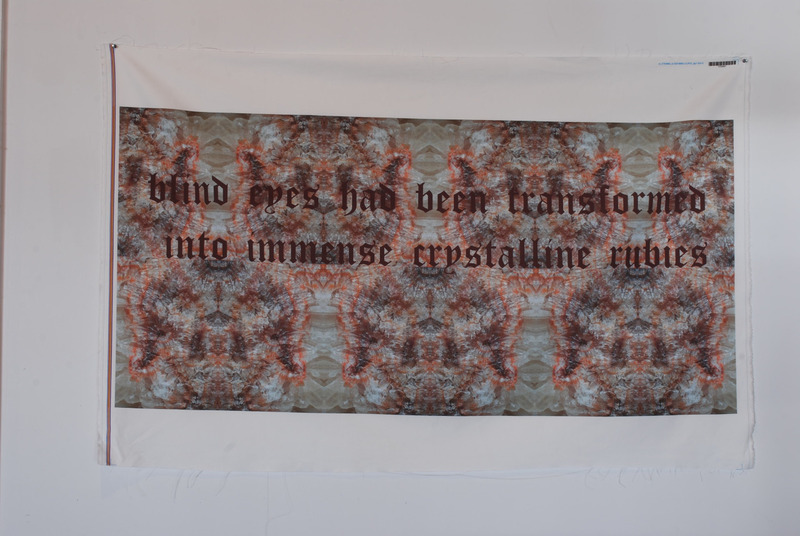 Chamberlin’s works feature language from the novel, and take inspiration from the designs of William Morris, the text-based work of Ed Ruscha, and the back patch textiles of the metal and punk communities. 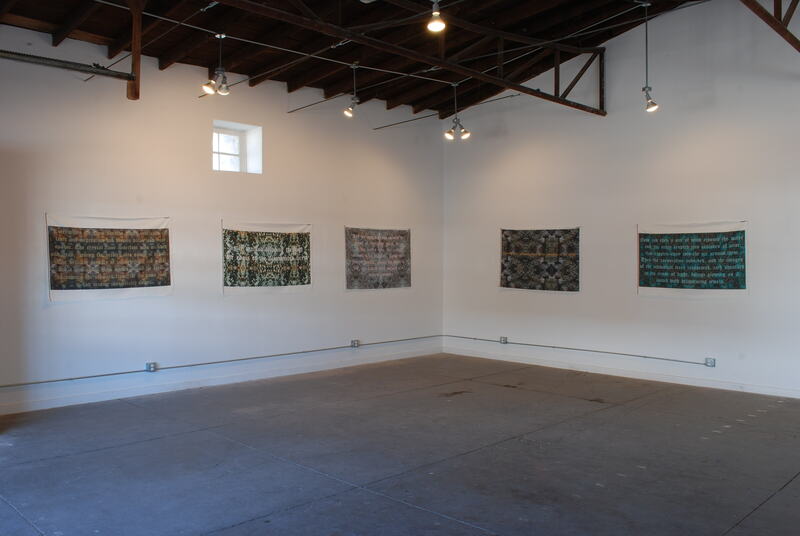 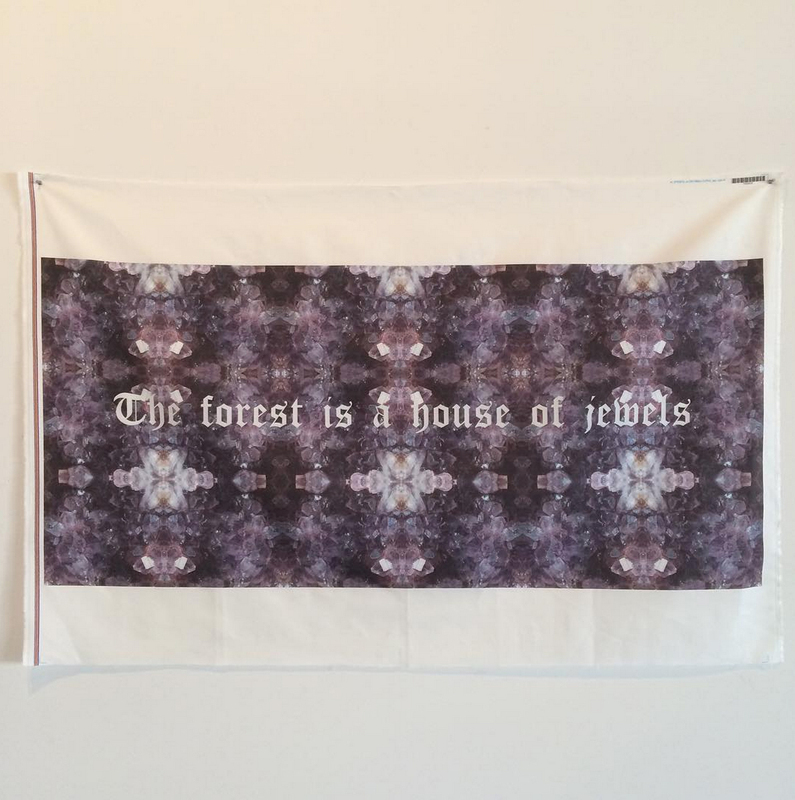 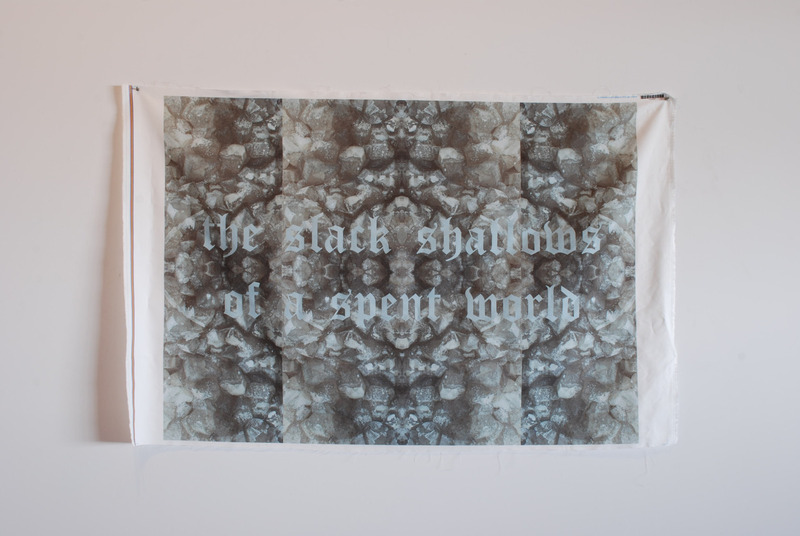 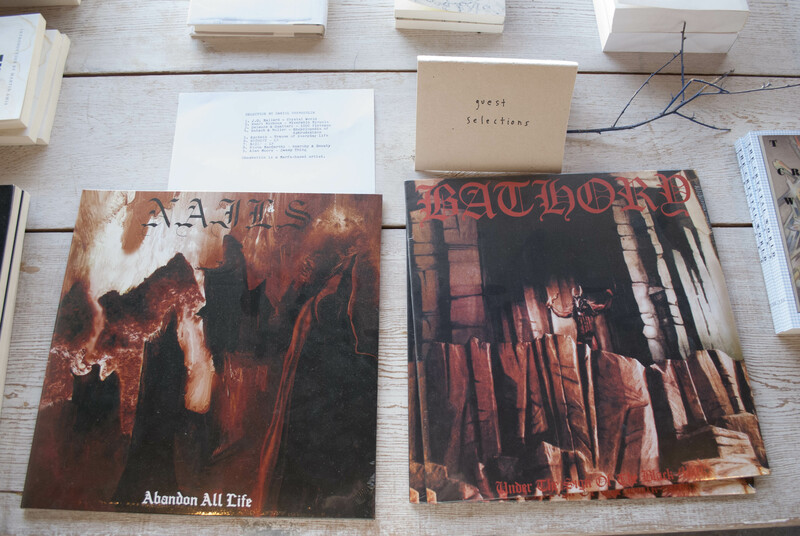 The wall hangings are printed on linen-cotton canvas; the typeface is Cloister Black, a font that originates in the early 1900s, but was adopted in the ‘80s and onward by metal bands such as Bathory, Burzum and Nails. 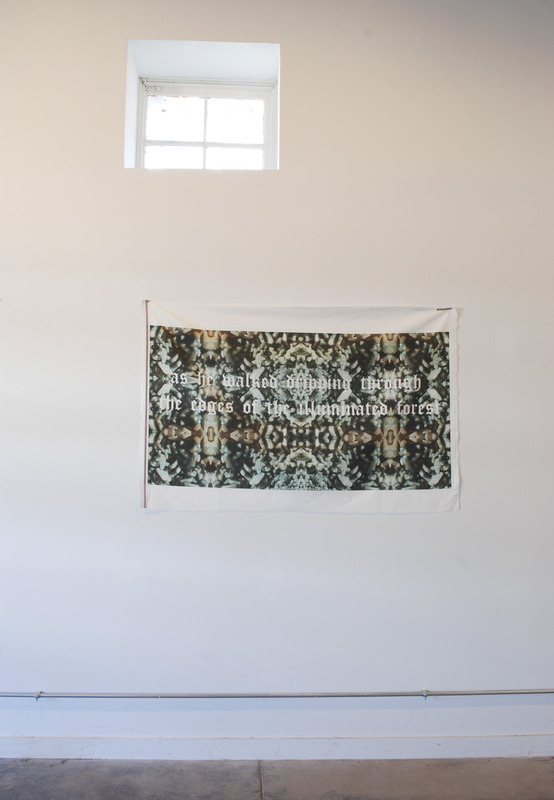 Prints are on linen-cotton canvas in unlimited edition. 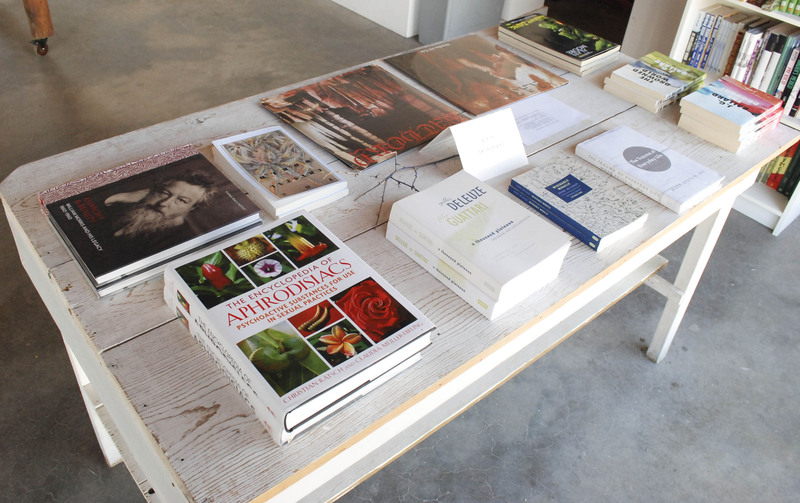 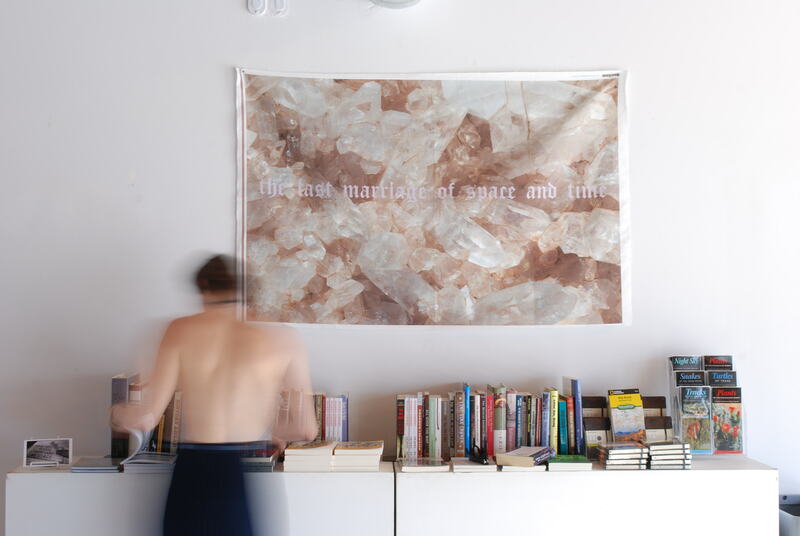 Available indefinitely from Marfa Book Company for $200. 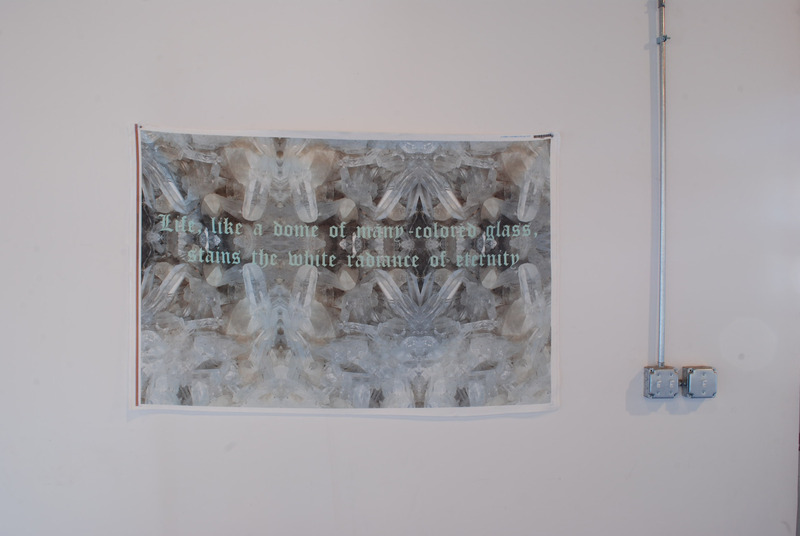 Various sizes, approximately 38 x 56 inches. 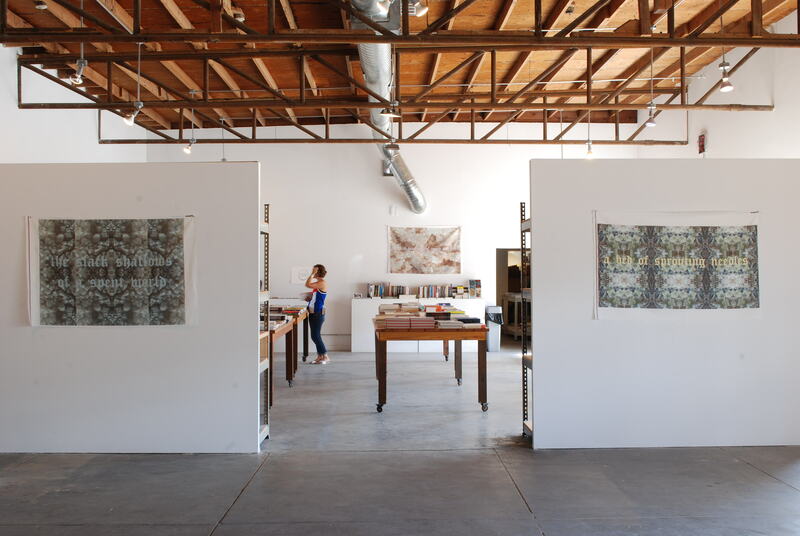 Inquire with MBCo for specific dimensions.